Eric Malikyte, Echoes of Olympus Mons. Self-published, 2019. Pp. 270. ASIN B07MCMD2GN. $11.99/$3.02. Geraldo “Hal” Leon and his roommate Akio Sato, students at Olympus One (a Martian University) have invented a kind of camera that detects dark matter. Not only do they face the opposition of their hidebound teachers, they find that they have somehow summoned a kind of consciousness that proceeds to slay their fellow-students and staff. Are the shapes that they see a kind of re-creation of something traumatic that happened to Mars? Grant Price, By the Feet of Men. Cosmic Egg Press, 2019. Pp. 344. ISBN 978-1-789041-45-3. £12.99. Post-apocalyptic stories are nothing new: it seems as if we’ve always had an obsession with wanting to see how it all ends, while hopefully not being there. We’ve dreamed up all types of scenarios involving things that may or may not happen. 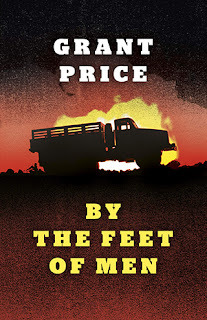 By The Feet of Men by Grant Price is another in a long string of fiction that explores what happens to the world after… well, everything, but manages to do so in a unique, character-driven way. By The Feet of Men focuses on a team of “Runners”—truck drivers who deliver cargo—named Cassady and Ghazi. They are tasked with bringing medical supplies to a group of scientists who may have the key to reversing “The Change,” which is the name of this particular event that caused the whole world to be terrible. 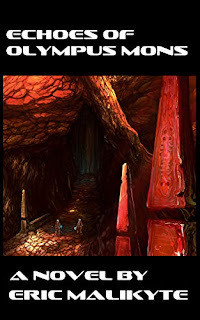 Joining them are a group of other Runners you’ll get to know through out the book, but the central focus is on Cassady and Ghazi, and their relationship is what separates this book from being just another post-apocalyptic story involving having to get something important from point A to point B. Of course, standing in their way is all of what you would come to expect from these types of stories, such as marauders, what’s left of cities, and terrible, terrible weather, all resulting from the Change. 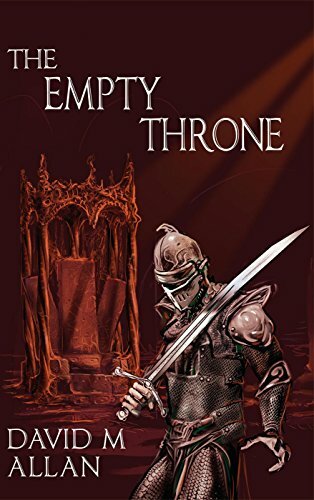 David M Allan, The Empty Throne. Elsewhen Press, 2018. Pp. 304. ISBN 978-1-9114-0925-0. 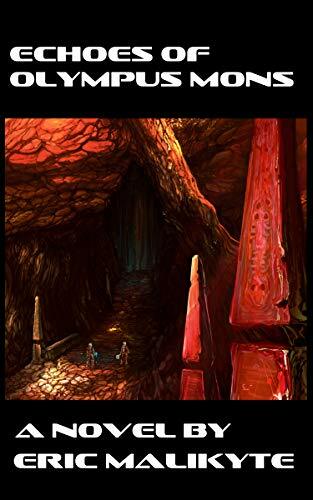 £9.99 pb/£2.99 e.
In fiction, gateways and portals into other worlds are often seen as a way to access new worlds for adventure and exploration. 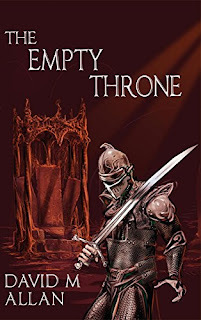 David M. Allan turns that trope on his ear in his book The Empty Throne, in which a Gateway is called into being by three Mesters, specialists in crafting stone, metal, and wood. But rather than being a portal into Paradise, or at the very least, into a world inhabitable by humans, this particular Gateway opens up into trouble. The newly-accessed world is occupied by insubstantial-seeming but lethal creatures called rajuk, paher, and kulun. Rajuk are “puffs of slightly luminous green smoke” (30), while paher are “roughly cylindrical” (31), also smoke-like although much larger than rajuk, and equipped with tentacles. Both rajuk and paher “caused horrible wounds when they touched flesh and swathes of devastation through the vegetation” (48). The one positive aspect is that both of these creatures can be killed using swords. Kulun, on the other hand, appear as a pale blue haze and are “so insubstantial that a sword didn’t affect them at all” (48). Kulun are intelligent, able to possess humans and other living creatures, and can only be killed by a crafting, such as a missile, fashioned by a Mester.